9x12, xiii + 73 pp. Over a third of the output of Amy Beach (1867–1944) is music for chorus, including sacred and secular works with accompaniment and for a capella performance. She also wrote music for choral societies and clubs. 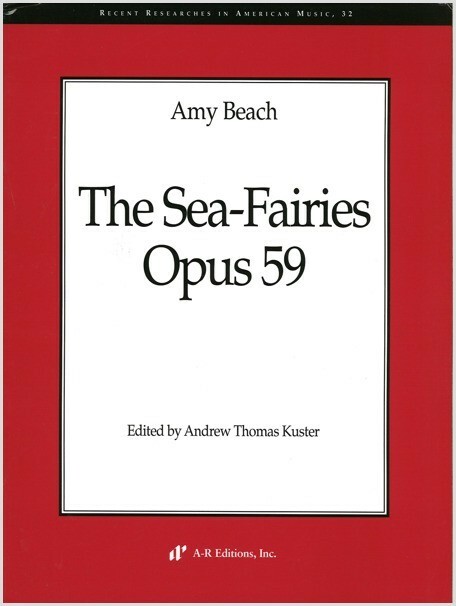 Along with two other works for chorus and orchestra commissioned by choral societies (The Rose of Avon-Town  and The Chambered Nautilus ), The Sea-Fairies, composed and orchestrated in 1904, exhibits Beach's great craftsmanship in scoring for women's voices and in setting poetry. This single-movement cantata for four-part women's chorus, three soloists, orchestra, and harp is an elegant setting of The Sea-Fairies by Alfred, Lord Tennyson. Beach's colorful orchestration and melodious vocal writing portray the lure of the sirens from Homer's Odyssey. This edition makes the full score available for the first time.